HEFEI -- Continental AG has began production at its first Chinese tire plant, a 185 million euro (1.7 billion yuan) facility that will initially produce up to four million passenger vehicle tires a year. The factory is located in Hefei in southeast China's Anhui province. German supplier Continental says the plant will produce premium tires for the Chinese market and for export. With additional investments, Continental eventually will boost output to 16 million tires a year. 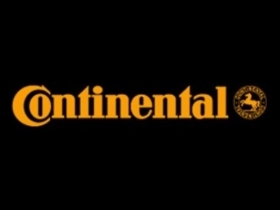 Continental produces tires, telematics, brakes, stability control systems, safety electronics and other components. The tire division has 27 plants and technical centers worldwide. Continental ranks No. 4 on the Automotive News Europe list of the top 100 global suppliers with worldwide original-equipment automotive parts sales of $18.7 billion in 2009.